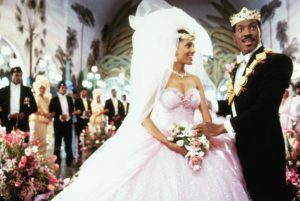 Eddie Murphy was already a huge star when “COMING TO AMERICA” was released in 1988, and he went on to make a few more hits (and, let’s be honest, a few clunkers). 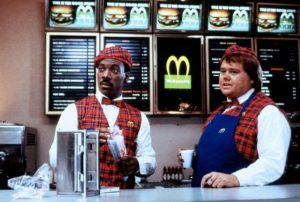 But the story of Prince Akeem’s trip to Queens, NY to find his true love is one of the most beloved (and quoted) films of Murphy’s whole career. 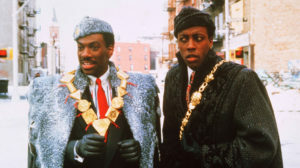 On this week’s episode of WHEN WE WERE YOUNG we revisit John Landis’ comedic fairy tale, discussing everything from the amazing wedding day tribal dance in Zamunda to the fourth-wall-breaking pooch we affectionately refer to as “Judgment Dog.” We also jam out to some of Murphy’s forays into pop music, because you didn’t think we could pass up the chance to sing along to “Party All The Time,” did you? 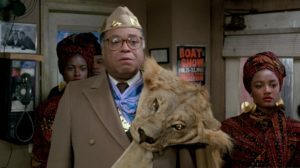 Does “Coming to America” still make you crack up after all these years – or when you think of garbage, do you think of Akeem? Listen to our latest episode now! And bark like a dog. A big dog. When We Were Young is a podcast devoted to the most beloved pop culture of our formative years (roughly 1980-2000). 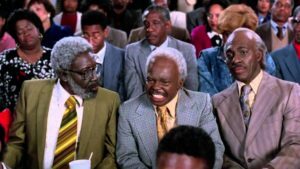 Join us for a look back to the past with a critical eye on how these movies, songs, TV shows and more hold up now. You can follow us on Twitter at @WWWYshow, on Facebook at @WWWYShow, you can Email us at wwwyshow@gmail.com, and don’t forget to subscribe and review us on iTunes!